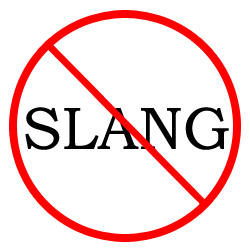 Slang words are often, by nature, transitory and limited to particular age groups, subcultures, eras, and even professions. But a few slang words do endure and make the transition from marginality to respectable mainstream usage. A notable example of a word in common usage today, especially in British English, that started life as a student slang term is “don,” an alternative word for a university teacher. An English-grammar website called World Wide Words says it was undergraduates at Oxford and Cambridge universities who first used “don” as a slang term to refer to their teachers. And then the term caught on. “The source [of the word] is the Spanish Don, originally a term of high rank, which derives from Latin dominus, master or lord, which has also bequeathed English words such as dominate and dominium, as well as domine, a one-time term of respect for a clergyman or a member of a learned profession and — as dominie — for a schoolmaster in Scotland. Around the middle of the seventeenth century, English began to use don for a leader or a man of importance or ability; to be a don was to be an adept at some activity, whether literature, cricket or a craft skill. Undergraduates at Oxford and Cambridge began to humorously apply don to the tutors and fellows of their colleges, with perhaps an echo of domine, and the term went into the language,” the website says. There are many words in mainstream Nigerian English that also started as university student slang words but are now in general use in Nigeria. In fact, many Nigerians don’t recognize these words and their meanings as nonstandard. I list 10 such words below. 1. “Dub.” It means to cheat during exams by copying another person’s test answers word for word. It’s obviously derived from a metaphorical extension of the sense of dubbing that means “make a copy of a recording,” as in "dub music from CD to tape." Slang terms are notoriously difficult to periodize and etymologize because they are usually first primarily spoken for a long time before they are written, but it seems to me that “dub” entered Nigerian English in the early 1980s and reached the peak of its popularity in the 1990s. I thought it had lost currency in contemporary Nigerian English until I saw it used many times on a popular Nigerian online discussion site called Nairaland.com by people who are obviously not students. 2. “Gist” (sometimes misspelled as “jist”). This is probably the most popular Nigerian student slang term that has transitioned to mainstream Nigerian English. In both formal and informal Nigerian English “gist” now means light informal conversation, especially about other people’s private business. A Nigerian celebrity gossip website called “gistmania.com” derives its name from this sense of the word. It can be used both as a verb (as in, “I’ll gist you about my ex-boyfriend”) and as a noun (as in, “I have hot gist for you about your friend”). Many Nigerians don’t seem to be aware that this usage of the word is nonstandard; that it started life as student slang, probably in the 1970s, in southern Nigerian universities. In Standard English, “gist” doesn’t have a verb form. It’s always a noun, and it means the main point of something, usually a message, a literary work, etc. 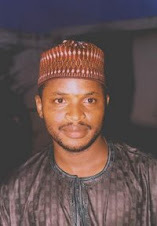 Example: The gist of his 300-page book is that Nigeria can be salvaged. The Oxford Dictionary says “gist” was originally a French word, and was rendered as “gesire.” It meant “to lie,” that is, to be located somewhere. In the 1600s, “gesire” entered English as “gist” first in legal vernacular and later in popular usage. Its meaning has remained unchanged since then—except in Nigerian English. 3. “Form.” This word is used as a verb in Nigerian English to mean put on airs, that is, affect manners with intent to impress others, as in “the guy is just forming; that’s not the way he speaks naturally.” I thought the word was self-evidently slangy until I found that it is used even in formal contexts by Nigerian English users. Someone with a high level of proficiency in English also once asked me if the word was standard. That was when it really dawned on me that the word had crossed over to mainstream usage in Nigeria. 4. “Popsy.” This annoying word for father in informal Nigerian English was also initially a student slang term. It’s probably coined from a mimicry of “pops,” the colloquial American English term for father, which Vocabulary.com says is “derived from baby talk.” But, more crucially, “popsy” is a real word in British English and means—wait for it—an attractive young girl! It is also sometimes used as the diminutive form of poppet, a term of endearment for a girl or a child in informal British English. So good luck with calling your dad “popsy” in Britain. 6. “Swags.” Swag is universally recognized as the short form of “swagger,” a pompous manner of walking intended to impress others. But Nigerian youngsters tend to add an “s” to the end of the word, which makes it sound like British thieves’ slang term for stolen goods. 8. “Jambite.” This refers to a first-year undergraduate, what Americans call a freshman, or what the British call a fresher. It’s formed from the acronym JAMB, which stands for Joint Admission and Matriculation Board, the agency that regulates entry into Nigerian universities. This previously marginal student slang term has gained mainstream acceptance in Nigerian English. It’s not unusual these days to see the term used in official communication from university administrators. 9. “Number six.” It means one’s brain. To be told to use one’s “number six” is to be exhorted to be sensible. As Roger Blench observes in his draft Nigerian English Dictionary, this expression started as student slang. My recollection of the origins of this expression is that biology teachers in secondary schools often assigned the number 6 to the cerebral cortex, the grey matter of the brain. If my recollection is wrong I’d appreciate a correction from anyone who knows how the connection between number 6 and the human brain started in Nigeria. 10. “Toast.” This word competes with “gist” for the most popularly used Nigerian student slang term in mainstream Nigerian English. Used primarily as a verb, it means to talk to a girl. In the pre-Internet age, there used to be pamphlets that gave teenage boys tips on “how to toast a girl.” Now several Nigerian websites give tips to young men on “how to toast a girl.” As with most slang terms, toast has no basis in anything. It just erupted out of nowhere in student dorms. When toast is used as a verb in Standard English it usually means one of two things: to make something brown through exposure to heat (e.g. to toast slices of bread) or to say nice words before drinking a glass of water or wine in honor of a person or an event (as in, “let us toast the birthday boy!”).